We are doing a collection drive from now until Sept 25th. The actual ‘shopping’ event is Oct 1st & 2nd. We will be doing 2 HUGE gown sorting parties on base; and that’s where we get as many of the gowns as possible all sorted and hung on racks according to size, so volunteers for this portion of set up is appreciated. 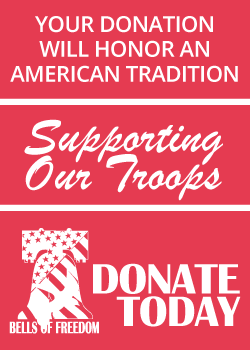 Evening wear donations can be collected at Qualcomm and a Dance Hearts/Bells of Freedom representative will collect by September 23rd, 2013. Child Care Volunteers – 16 YEARS + – we provide free child care while the ladies shop, so we need helping hands in the child care room to watch the little ones. Child care room is in same facility as the event. Set-up & Break-down – this event is HUGE, and so it takes a time to set up & time to break down, we can use as many helping hands as possible for both. Event Dates: Oct 1st & 2nd – 9:00 a.m.- 8:00 p.m.